When people the world over talk about Silicon Valley it is Palo Alto they have to thank. Known as ‘The Birthplace of Silicon Valley’, Palo Alto is to thank for many of the world’s biggest technology companies, from Google and Pay Pal to Logitech and Hewlett-Packard. Sited in the Bay Area, in the northwest of Santa Clara County, the city with such a big reputation is only actually home to about 65,000 people. Many are employed at Stanford University or Stanford University Medical Center and Hospital, which have portions in the city itself. 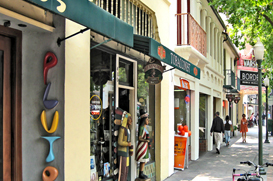 The mediterranean feel of Palo Alto is conducive to an outdoors lifestyle, and as many as 8% of the population use bicycles as their primary mode of transportation. Palo Alto has a Gold rating as a Bicycle Friendly Community, and the flat roads and many cooling trees appeal to many cyclists. The town is also served well by road, trains and buses too, though. With two major freeways, Hwy 101 and I-280, along with Caltrain providing links to San Francisco and San Jose. There is also a general aviation airport in Palo Alto, while SFO and SJC are only 30 and 15 miles away respectively. Home prices have a huge range, from around $700,000 to upwards of $35million, but the average list price is about $2.5m.